The entrance to the building is spacious and cosy, and the hotel is accessible by stairs or elevator. 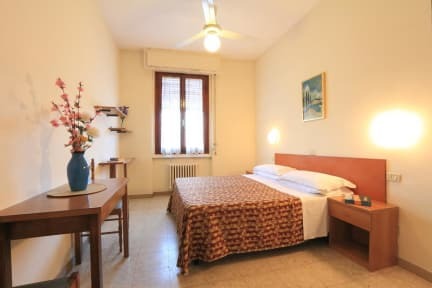 The Ottaviani, one of the best budget hotels in Florence, is an ideal choice for tourists who want to spend a relaxing holiday in Tuscany and visit unique monuments. 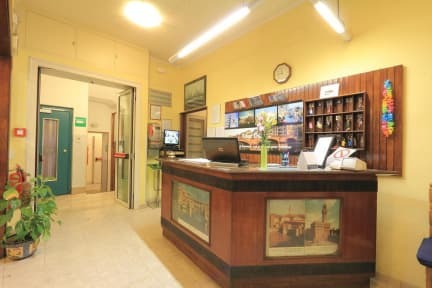 The Ottaviani Hotel thanks to its friendly and professional staff will make your stay in Florence a truly memorable and enjoyable experience. The reception's staff alternate day and night willing to help and offer to customers a delightful stay at reasonable prices. We can point you in the right direction from here. There are several local pubs that you may enjoy spending some time in. Also, some nice local restaurants we can guide you to. Please contact the property for late arrival. We can store your luggage and if the rooms are ready an earlier check in is possible.